Usually the first movie in a field remains the best-known example of that genre. However, that wasn’t the case with werewolf flicks. While the semi-modern release of 1981’s An American Werewolf In London maintains its adherents, 1941’s The Wolf Man stands as the most famous flick of this sort. Although its advanced age may lead some to believe it came first, this wasn’t the case, as another adventure predated it by six years: 1935’s Werewolf of London. That was the flick that really started the genre. For the record, I recognize that at least one silent film beat both London and Wolf Man to the punch, but in regard to this discussion, I think only “talkies” matter. When I refer to London as the first of its kind, I do so within those parameters. Despite its lower profile, I find London to provide a much better film than Wolf Man. In London, we meet Wilfred Glendon (Henry Hull), a British botanist who treks to Tibet to locate a rare plant. Wilfred locates it but he also lands on the receiving end of an attack from some beast. Wilfred isn’t terribly injured, though, and he heads home with his prize. Back in London, we watch Wilfred as he attempts to get the plant to bloom. It only does so in moonlight, but he tries to make it occur with artificial illumination. Wilfred’s fascination with his work leads him to ignore his wife Lisa (Valerie Hobson), and that almost leads her into the arms of visiting childhood love Paul Ames (Lester Matthews). While he remains aloof, Wilfred clearly feels jealous when he sees the rekindled spark between those two. Unfortunately, Wilfred encounters other concerns, as it appears his attack in Tibet left him with some repercussions: he’s a freakin’ werewolf! After Wilfred’s first outbreak of this disease, he spends most of the rest of the movie trying to deal with it, attempts that mainly deal with his stabs at cultivating the rare plant. While Werewolf of London doesn’t qualify as a horror classic, it seems more successful than most, largely due to the terrific performance from Hull in the lead. 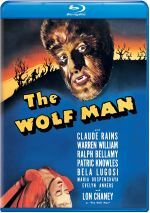 He creates a nice sense of depth as Wilfred that contrasts starkly with the dull lump played by Lon Chaney Jr. in The Wolf Man. London offers a certain complexity that the later flick lacks, as it relates to Wilfred’s obsessions and his jealousy. He’s a rough, gritty guy who provides a spooky nastiness totally absent from Chaney’s Larry Talbot, who was a total non-entity. London also manages to combine humor and horror in a way that reminds me of The Bride of Frankenstein. Though London isn’t quite in that classic’s league, it nonetheless has some genuinely amusing and entertaining moments that blend well with the action. They feel well integrated and never seem gratuitous or silly. Werewolf of London offers a very pleasant surprise. I didn’t expect much from it, but it presents a fairly exciting, scary and winning experience. It definitely stands among the best werewolf films. Werewolf of London appears in an aspect ratio of approximately 1.37:1 on this Blu-ray Disc. Though not one of the best Universal Monsters transfers, London usually looked very good. Sharpness looked positive, as the movie provided a fairly detailed and succinct picture. Any softness seemed to be minor, and I found the result to appear distinct and crisp. Moiré effects and jagged edges presented no concerns as well. Black levels came across as nicely deep and rich for the most part, and shadow detail also appeared appropriately heavy but not excessively opaque. A few shots looked a little dim, but as a whole the image was clean and visible. Print flaws remained minor. I saw an occasional speck, and a few shots demonstrated thin vertical lines on the side of the screen. Nonetheless, these defects barely registered, so this ended up as a satisfying presentation. While the DTS-HD MA monaural soundtrack of London aged less well, the quality of the elements appeared mostly average for their era. Dialogue was thin and tinny but reasonably clear, with no problems related to intelligibility. Effects and music also seemed a bit strident and they lacked dynamics. Still, they stayed within the acceptable range for the age of the material. Background defects caused the most substantial issues, as I heard light popping through most of the movie. This rarely became loud, but it was a consistent presence, and it became a distraction. Given the age of London, these concerns weren’t much of a surprise, but they were a disappointment after the strong picture. How does the Blu-ray compare to the DVD version from 2001? Audio seemed a bit more distinctive and clear, while visuals appeared cleaner and more concise. This became a nice step up in quality. In terms of extras, London includes a trailer and nothing else. Not remembered as a “major” horror film, 1935’s Werewolf of London nonetheless holds up well after more than 80 years. It presents a suitably creepy tale that acts as one of the genre’s better efforts. The Blu-ray brings us very good picture but audio seemed erratic and the disc lacks supplements. I’d like some real bonus materials, but London still satisfies. 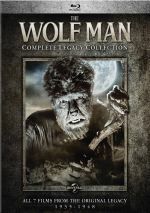 As of summer 2018, Werewolf of London can be purchased as part of a seven-film “Wolfman Complete Legacy Collection”. 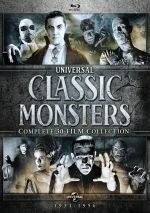 In addition to London, we find The Wolf Man, She-Wolf of London, Frankenstein Meets the Wolf Man, House of Frankenstein, House of Dracula, and Abbott and Costello Meet Frankenstein. With a list price of less than $30, the set is a bargain.